The hole in the ozone layer has diminished by 4 million sq km since 2000 and could heal completely by 2050, scientists at Massachusetts Institute of Technology have shown in their latest study, which appeared in the journal Science. The changes have happened largely due to the Montreal Protocol adopted in 1987 that oversaw the ban of chemicals. “We can now be confident that the things we’ve done have put the planet on a path to heal,” lead author Susan Solomon, the professor of Atmospheric Chemistry and Climate Science at MIT, has said, as quoted by the university’s news outlet. The process wasn’t uniform, though. At times it slowed, mainly due to the effect of volcanic eruptions. The ozone hole was first found back in the 1950s, and some 30 years later, researchers from the British Antarctic survey paid attention to the fact the ozone layer was depleting. 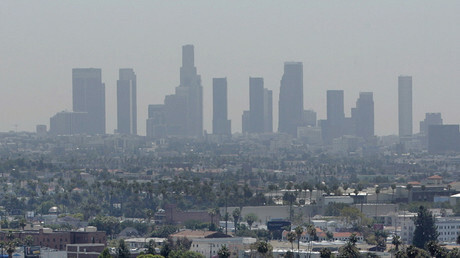 So what destroys ozone in general? The chemical is sensitive to chlorine originating from chlorofluorocarbons (CFCs) emitted by dry cleaning processes, old refrigerators, and aerosols such as hairspray. However, there are other factors that trigger the depletion, including temperature and sunlight. It should be cold with light present to start the ozone-chlorine reaction, with this fact discovered in 1987 by none other than Susan Solomon, lead author of the latest research. 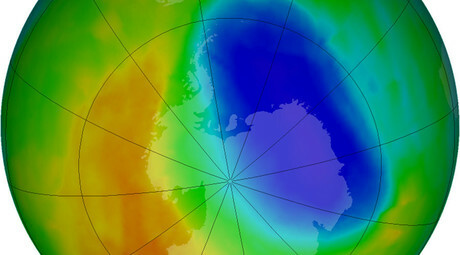 Ozone depletion over Antarctica begins in late August - deep winter at the South Pole, but with daylight returning - and the hole is formed by October. In the latest study, though, researchers decided to look at the hole while it is still forming, in September. “I think people, myself included, had been too focused on October, because that’s when the ozone hole is enormous, in its full glory,” Solomon said. “But October is also subject to the slings and arrows of other things that vary, like slight changes in meteorology. September is a better time to look because chlorine chemistry is firmly in control of the rate at which the hole forms at that time of year. That point hasn’t really been made strongly in the past,” she added. Researchers have looked at the ozone hole in September over the past 15 years, examining ozone data taken from weather balloons and satellites. They also measured sulfur dioxide emitted by volcanoes, which can also add to the ozone depletion. Finally, they tracked meteorological factors such as temperature and wind. What they found was startling: the ozone hole had shrunk by 4 million sq km by 2015. And the predictions for the future are good. “It’s been interesting to think about this in a different month, and looking in September was a novel way. It showed we can actually see a chemical fingerprint, which is sensitive to the levels of chlorine, finally emerging as a sign of recovery,” Diane Ivy, research scientist with MIT’s Department of Earth, Atmospheric and Planetary Sciences, said. An interesting detail for the scientists was that the ozone depletion spiked in 2015, but this was mainly because of the eruption of the Chilean volcano Calbuco, which emitted small particles that increased the amount of polar clouds that reacts with the human-made chlorine. However, Solomon sees no reason why the ozone hole shouldn’t close forever by 2050. “What’s exciting for me personally is, this brings so much of my own work over 30 years full circle. Science was helpful in showing the path, diplomats and countries and industry were incredibly able in charting a pathway out of these molecules, and now we’ve actually seen the planet starting to get better. It’s a wonderful thing,” she said. PARIS – The Organization for Economic Co-operation and Development, or OECD, stressed in a report published on Thursday that death rates due to air pollution in the world will double or triple by the year 2060 if the rates of pollution remained high. A persistent chill in the ocean off Antarctica that defies the global warming blamed for melting Arctic ice at the other end of the planet is caused by cold waters welling up from the depths after hundreds of years, scientists said on Monday. A British aid charity is warning that by 2060 more than a billion people worldwide will live in cities at risk of catastrophic flooding as a result of climate change. 2016 is on track to be the hottest year yet. The World Health Organization (WHO) has warned that air pollution around the world is rising and claims the lives of seven million people every year. After a record-breaking warm Arctic winter, sea ice hit a record low for the largest area it covers during the winter months. The ice covered only 5.60 million square miles on March 24— surpassing last year’s record low of 5.61 million square miles.